An Oregon man is accused of forcing a 5-year-old girl to smoke marijuana after brutally beating her with a belt. 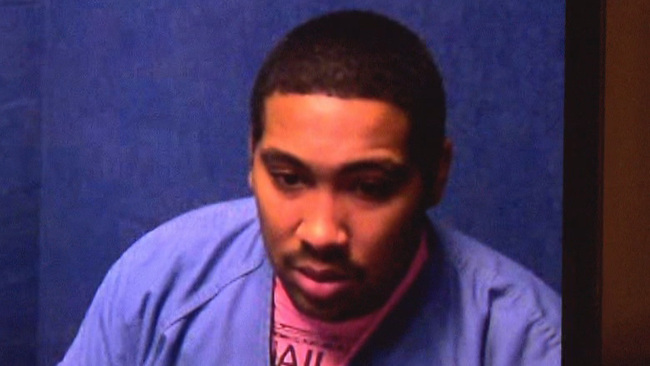 Marquise R. Harris-Hill, 26, was arraigned Monday on counts including criminal mistreatment, assault, and unlawful delivery of marijuana to a minor, according to KOIN. On May 8, Fairview police responded to reports of a child being beaten. When officers arrived at the home, they found a sobbing toddler with her head shaved, welts on her arms and bruises covering her torso, KTPV reports. According to police, Harris told officers that he “whipped the child at the direction of the mother.” Police did not comment on the man’s relationship to the girl. Prosecutors described the belt as heavy, “with metal protrusions” throughout. Officers described it as a “studded belt,” according to a probable cause affidavit. When interviewed by social workers, the girl said that she’d been beaten because she hadn’t brushed her teeth. The child also told staff that Harris had “forced her to smoke marijuana,” according to prosecutors. Police collected a urine sample from the girl, but the results were not immediately available.